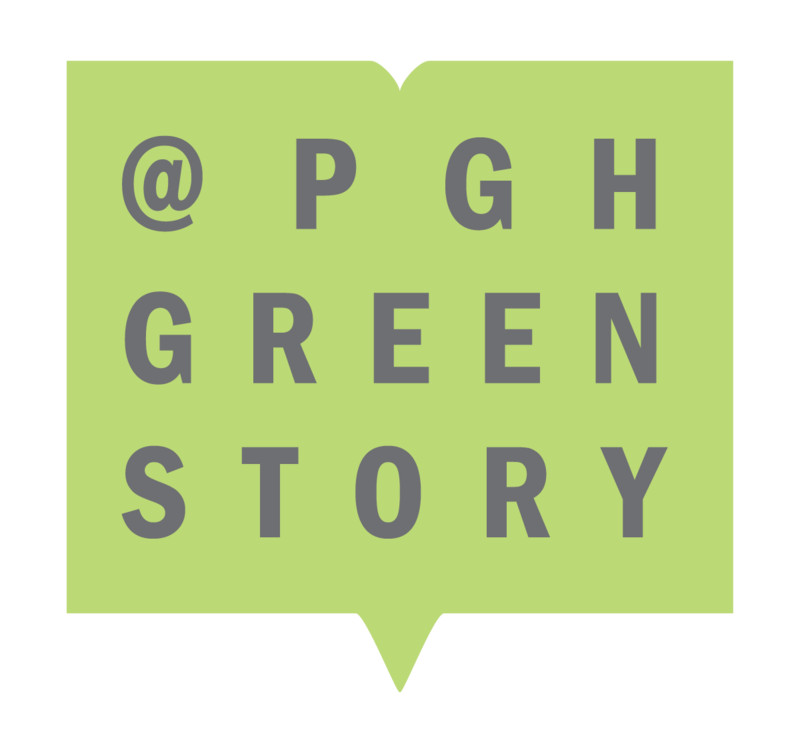 Green heart of Pittsburgh champions additional sustainability initiatives in new five-point plan. Pittsburgh, Pa. — Five years ago, Phipps Conservatory and Botanical Gardens opened the Center for Sustainable Landscapes (CSL), one of the most advanced state-of-the-art buildings in the world that remains the first and only building to meet four of the highest green certifications: Living Building Challenge®, LEED® Platinum, Four Stars Sustainable SITES™ and WELL® Building Platinum. A recognized international sustainable leader, Phipps celebrates this five-year anniversary milestone and looks ahead to further advance green innovation, providing a best-in-class model that inspires people at local, national and global levels, attracting almost half a million visitors annually. Each component of the 2018 plan demonstrates Phipps’ continued green innovation and impact [additional details on page 2]. Facilities Renovation and Expansion – The new Exhibit Staging Center (ESC) will expand Phipps’ Living Campus, revitalizing a former public works building on a brownfield. 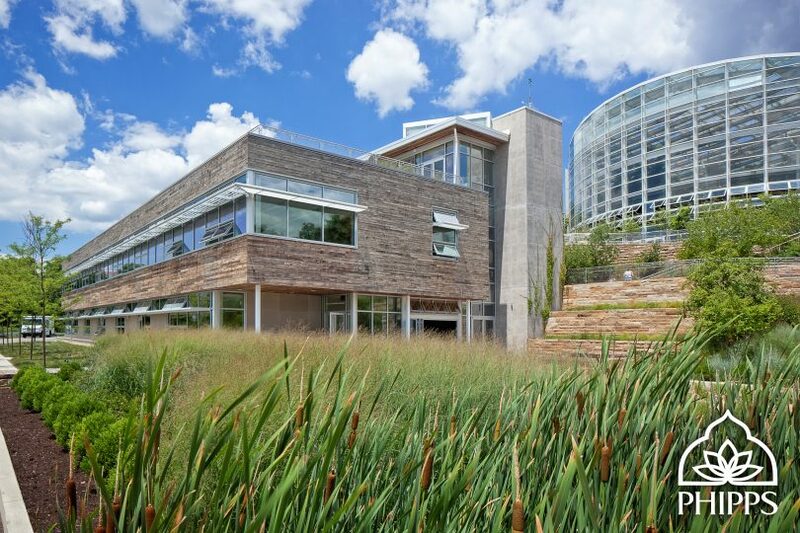 Designed to be net-positive energy and net-zero water, the building will implement biophilic design concepts and is expected to achieve multiple green building certifications. Upon completion, the Living Campus will include new construction (CSL), modular (SEED Classroom) and renovated (ESC) green building designs. The building will bring back-of-house functions to the forefront, allowing visitors behind-the-scenes access as staff members develop props and materials for use in flower shows and special exhibits. Phipps will also develop plans to renovate the Garden Center, located at 1059 Shady Avenue, with the goal of attaining multiple green building certifications. 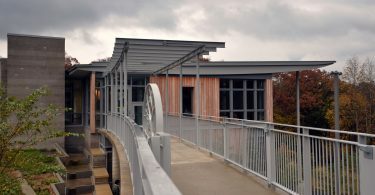 The first composting toilet in Pittsburgh is located at the Garden Center, with additional green building practices planned for the facility. The building will continue to be utilized for programs and events to benefit the community. One Health One Planet™ Symposium – This national event will be held on Thurs., March 8, bringing together more expert speakers and interactive breakout sessions to discuss “Health Impacts: Chemicals of Concern in the Environment”. 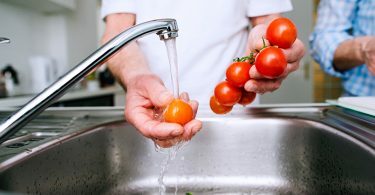 The event’s focus on systems thinking, connecting human and environmental health, will attract hundreds of health, environmental and community leaders. Green Buildings – What Does Good Look Like? Getting the Green Building You Want will be held on Wed., Feb. 21. Phipps’ Accredited Professionals will help organizational leaders get the green building that meets their values and aspirations, walking through rating systems related to green buildings, human health and landscapes and showing attendees how to use them, setting them up for success. Sustainable Landcare – Landscape and Lawncare Accreditation Training will be held on Mon.–Thurs., Feb. 12–15. Modeled after the NOFA Organic Landcare Program, Phipps brings nationally renowned landcare standards training to Pittsburgh through this intensive workshop for landscape and lawncare professionals, distinguishing them as true sustainable practitioners. Cooking Classes in New Teaching Kitchen – Opening in 2018, Phipps’ state-of-the-art demonstration kitchen located in Botany Hall will be the perfect setting for new healthy cooking programs for adults, kids and Let’s Move Pittsburgh events, with programming centered on delicious food that is good for people and the planet. Kids Camps and Classes – A full roster of new programs for children on topics including conservation science, growing edible plants and more are planned in 2018. Plastics Reduction – Phipps will review and minimize single use disposable plastic, reducing plastic materials used in the Conservatory. By 2050, it is projected that there will be more plastic in the ocean than fish if we do not join together in reducing plastic use. Phipps is committed to doing their part while teaching others about this important issue. Expanded Biophilic Research Institute – Phipps’ Research Institute for Biophilia and Science Engagement is the first of its kind, taking an integrative, multi-disciplinary approach to understanding the impact of connections between people and their environment. Phipps will expand the Research Institute in 2018, adding multiple positions and increasing team members with Ph.Ds. to five scientists. Studio Phipps: Sustainable Design Growth and Community Impact – Phipps’ sustainable landscape design group Studio Phipps inspires commercial clients to look at nature differently by considering ways to integrate the natural world into buildings and find feasible solutions to their design challenges. 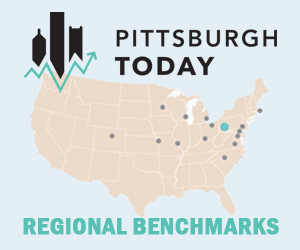 The group will continue to grow to help more organizations establish or expand green spaces, supporting the Mayor of Pittsburgh’s sustainability plan and Pittsburgh’s status as a Biophilic City. About Phipps: Founded in 1893, Phipps Conservatory and Botanical Gardens in Pittsburgh, Pa. is a green leader among public gardens with a mission to inspire and educate all with the beauty and importance of plants; to advance sustainability and promote human and environmental well-being through action and research; and to celebrate its historic glasshouse. Phipps commemorates its 125th anniversary in 2018, celebrating its historic past, vibrant present — including inspiring seasonal flower shows, community events, public programs and groundbreaking green innovation — and exciting future forward.